Have a large tree with limbs over a building or do you need it thinned so that the grass will grow underneath? Our tree pruning crew would be glad to help! We do most of our pruning by climbing the tree; however we also have a lift we can use when it is needed. We prune both large and small trees. 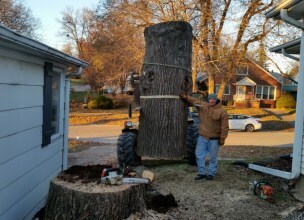 Again we can remove just about any tree. If there is a tree you are concerned about, we can help you determine if it is a potential hazard or not. We love trees and won’t encourage removing trees unless we truely believe that it is a hazard. We can help protect your trees in many ways. Pin Oak trees can suffer from lack of Iron. This is very treatable with injections. There are also many pests that can be prevented by injections and sprays. These include Emerald Ash Borer, Bagworms, and Spider Mites. 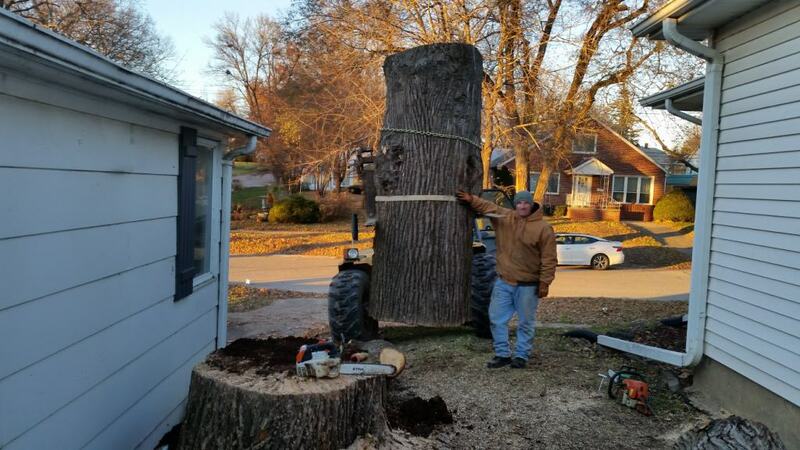 If you are concerned about the health of your tree, feel free to call us and ask for Nick! 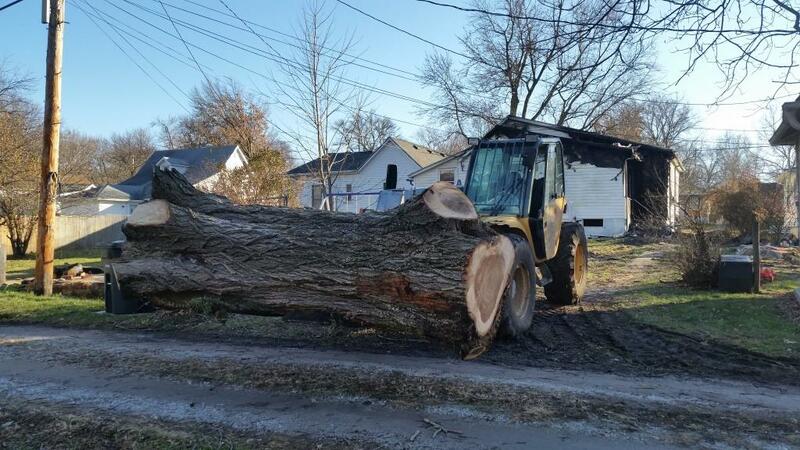 Last week heavy storms swept through the areas and damaged many trees in the towns making up Nemaha county. Now, as a homeowner, you are left with a large amount of mangled debris on the landscape, and often times trees that appear maimed and battered. Generally, in the Midwest, people are blessed with a “do it yourself” mentality which in situations like this can save them a lot of money. However, one aspect of storm-damage that is often over-looked is what is left in the tree. When high winds move through trees and tear out limbs, those limbs peel down the leader that they originated from and leave large stubs with very little leaf tissue. This is a big problem for trees physiologically because when a tree is wounded it needs a certain amount of leaf tissue at the point of damage to sustain and heal the wound. If left unattended these sites are where decay and pests will attack the tree. Proper pruning cuts are important because when the tree begins the healing process there should not be any stubs in the way that would alter the growth ring callus roll. 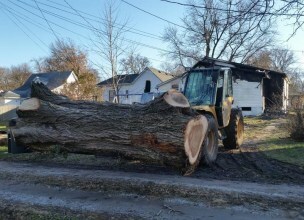 This is when you would want to contact a certified arborist to assess the tree and determine if, first, the tree is worth keeping, and second, if the storm-damaged area needs to be pruned.